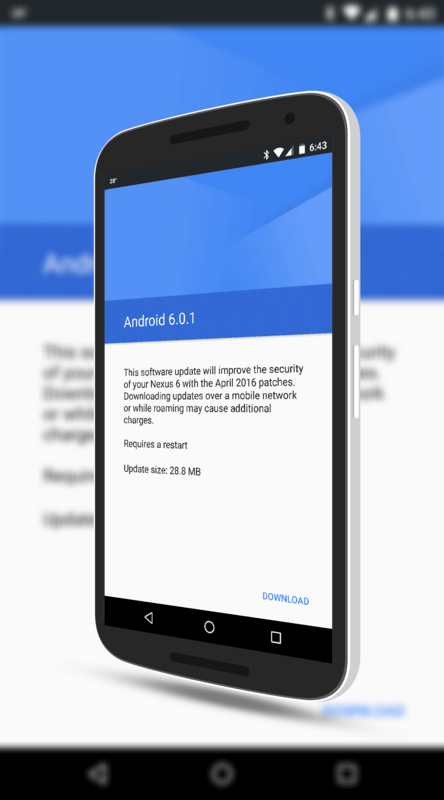 For those of you who have unlocked Nexus devices, you should start seeing the April Security update come to your device via an OTA update. Last week Google released the factory images for the update for those who wanted to manually flash their devices. For the rest, the over-the-air updates started hitting devices yesterday with wider distribution of the update happening over the course of the next few days. As with all of these updates, they are coming out in phases for each device and timing will vary. In my case, I have seen the update come to my Nexus 6 and Nexus 7 but it has not hit my Nexus 9 yet. Your mileage will vary but it should be to you in the next few days. For those who have Nexus devices that are carrier locked, the update will take a bit longer until your respective carrier gets it rolled out to you.